Woohoo! Saw It. Pinned It. Did It is back baby! For this project I had just about everything on hand. I only had to purchase the cork board. So this project was just under $5.00. I was so excited to finally use this picture frame since it has been hiding in my coat closet for a little over 3 years. The picture slots are just under 4×6 so it was hard to get the pictures to not look off when having to cut them down. The fabric was leftover from when I sewed a makeup bag. 1. 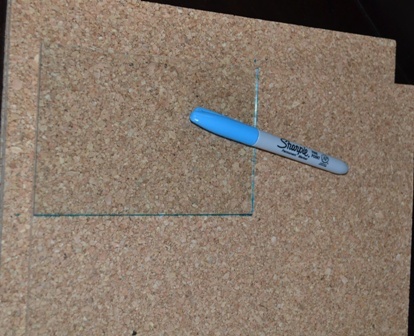 Remove the backing and glass. 6. 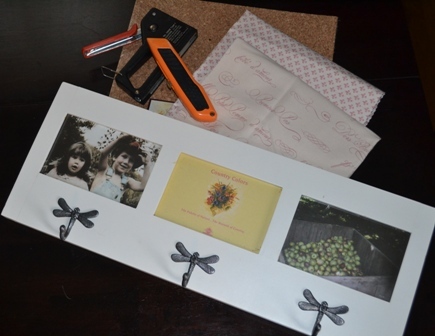 Place cork boards into the picture frame, replace back cover and hang. 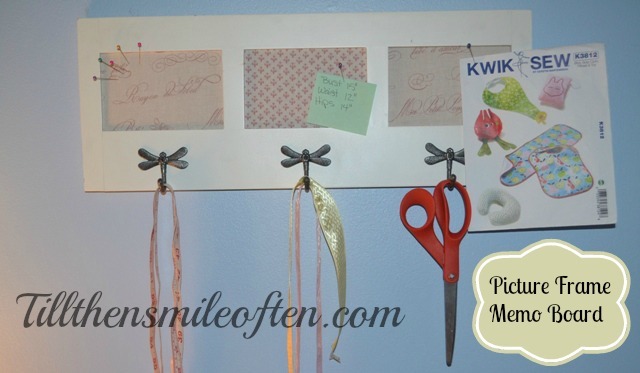 I used this in my craft room but you could also use this in a kitchen. Imagine pinning up recipes you are cooking, menu plan, or a grocery list. 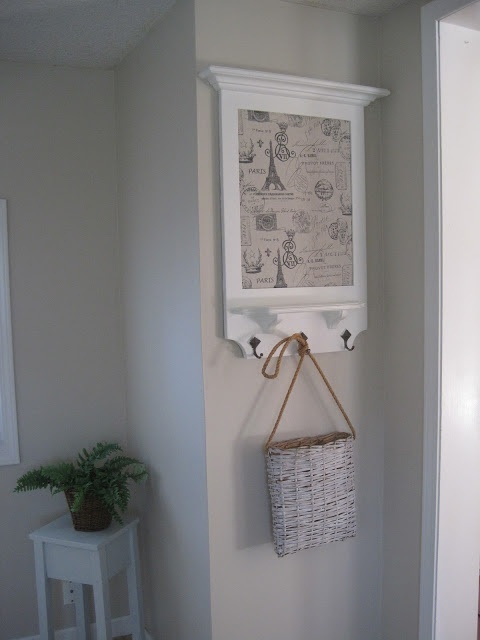 The hooks could hold teaspoons, ladles, towels. It could also be using in an office. Where would you use this project? Ok this I love! Great job! Thanks Tori! It was so easy to do too! LOVE IT! Having the supplies on hand makes everything better doesn’t it?! So much more convenient. 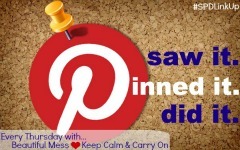 Thank you for linking up lady! Absolutely! I love being able to use up the things that are lying around not being used! Such a bonus! Thanks for starting the linkup again! We missed it! This came out fantastic! I too love when I have everything on had. So much easier and you don’t have to spend any more money! Thanks! I love not having to spend money on a project, and a great way to use up some excess fabric. Thanks Jill, I am loving it so far!